BDSL: Hey Sean. Thanks for joining us today. Tell us more about yourself, your soccer background and what got you interested in running a team in the BDSL. BGSC: Sure thing, I'm happy to do this. I'm from Tonawanda; I have been playing since the days of beehive soccer and oversized uniforms. I have two older brothers who also played; so when I wasn't going to one of my games, I was getting dragged to one of theirs. After high school, I put together a few men's teams at Sportsplex, but I really missed the fun of actually competing in outdoor games, which I hadn't done since u19. I had heard about the BDSL and looked into it but I didn't just want to join a team of guys I didn't know, so I thought maybe I should just start my own. I started asking around with friends to see if there was enough interest to play, and there was. BDSL: So when you started finding out about the league, what made it seem like it was option for you guys? Was there anything that stood out to you about BDSL vs other options? BDSL: With that mindset how would you rate your sides first year in the league last season? Did it go as expected or not? What do you think you learned by the end? What surprised you about running a team or playing in the BDSL? BGSC: I'd give it a solid C+ rating. Not the best start (see the Moby Ducks Massacre), but as the season went on we started to get a little better I thought, to at least be in most of the games near the middle and end. Overall, I think the season went about as well as you can expect when you throw a bunch of guys together who haven't met each other until the day of the first game, and go out and play. Also with each week it seems guys were meeting new teammates for the first time because of inconsistent attendance, so I know that there were a few people that never learned everyone's name. That's the one think I learned right away was that I foolishly thought that people would make almost every game. Twice we started games with 9 people. I think the entire season was a surprise, because I didn't know what to expect at all. I had never even seen a BDSL game so I didn't know the level of competition in D3, I didn't know the level of talent we had on the team, and I didn't know what the responsibility was that went into being a manager. With an entire season under our elastic waistbands, I learned what didn't work, and what I need to do this season to have a better year, so I'm optimistic that we're going to have a lot more fun this year. BDSL: That’s a pretty honest assessment of your first year and squad. How have you planned for 2018 to make things different? Is there one thing in particular or is a bunch of small fixes? BGSC: I think right away the familiarity with a lot of the guys probably will help. It's a little chaotic when you start building a team of friends and friends of those friends, who some you've never met. This year it's just tweaking the roster and knowing whom you can rely on. With the roster not much of a concern as it was last year, it lets me focus on other efforts; beer blasts, sponsor, etc. that I probably put off last year. I've also had a lot of guys tell me how ready they are for this year and what they've personally done to be in better shape and whatnot for the summer. With a lot of the team having the same mindset, hopefully we cannot just build a team that puts up with each other on the field, but a team that really enjoys playing with one another. So it's a bunch of smaller fixes but overall the earlier start will hopefully be the biggest reason for change. BDSL: Seems like a fair amount of change then for your side coming into the season. You mentioned how your team is constructed. Was finding that balance tough initially? What to you is more important? How they fit in with the team or best skill? Would you say you best better results then last year with what you learned last year? BGSC: It really wasn’t too hard; I knew that as much as I wanted talented players, I wanted to leave the super-serious-yelling the entire time-guys at home. I know a few of those, and purposely did not ask them to play. So, when someone would come to me and say they have a guy who is interested, my next question is asking what type of guy he is, because while we didn’t want to lose every game, my intention was to enjoy playing every week. Although on the other side, there are some really great teammates and overall nice guys that are just not that good, and we’ve moved on from some of them. If we plan on winning more games than last year, we can’t have a team that’s built on their personality alone. I expect better results from last year with some of the personnel changes we’ve made and like I said earlier, people know what to expect from a talent level, so they’ve made more of a commitment to be ready to play this coming year. BDSL: Tell us more about the your experience in D3. Coming into D3 as a new team were you surprised by the level of play or was it about what you expected? Was there any team you played against that stuck in your mind good or bad? Maybe a rival or team that you thought you did things right? 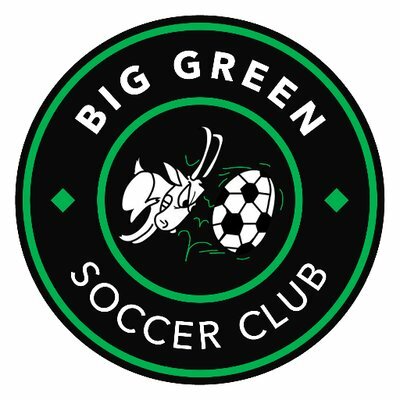 BGSC: Obviously the first game against the Moby Ducks had me thinking, “What did we get ourselves into?” The next few were bad, but not as horrible, and we knew we had some more friendly games on the horizon that we were looking towards. Down the stretch of the season, we had a lot closer games, some more than the score showed. I remember thinking that we’re not as bad as that first game indicated. We were just a couple good plays or players away in some of the games. That includes some games missing our most important players because it really hurts a lot more when you don’t have an abundance of talent already. When you’re on your third string goalie a few times, me, the game’s probably not going to go well. Our two closest games, sadly those teams won’t be coming back; we lost to Stone Jug and won against Erie County both in the last minute. The biggest way we want to show that we think we’ve improved is to not lose any games by 11… or more. BDSL: What would you say is more likely or even preferred to win for your Team, Wood Cup or the D3 title? BGSC: As much as I want to say a Wood Cup, I'd say a D3 title. To win the Wood Cup would be awesome because we'd have to take down some pretty good D2 teams to do it, but I like the idea of that D3 title still. It's a long regular season, so it has a lot of ups and downs that come along with that. To be able to stay the course and finish in a position to contend for that title, and hopefully win it.... that's the dream. BDSL: Anything roster wise, whether its new players or returning players you want to highlight or the style of soccer you find appealing you want to share? BGSC: I'd like to highlight everyone but there's not enough time. Glad that the players that are coming back are. Also really excited for every single new addition we've made. Soccer is soccer. There's really no preference in terms of style. BDSL: Any suggestions that you have for the league to improve do better or consider adding? BGSC: I'd consider a cap on the number of high school kids allowed to play per team, and make it a small number at that. It's supposed to be an adult league, and I personally would hate to see more and more kids added, year after year. There are u18 leagues for a reason. BDSL: Maybe advice for other fellow new managers? BGSC: My advice to the rookie managers out there would be; don't be surprised if you run into some attendance issues/flaky teammates and no matter what happens the first year, you can always learn from it and try to fix it the next season. Growing Pains is more than a 80s TV show, it might also be what has to happen during your first season on the job.